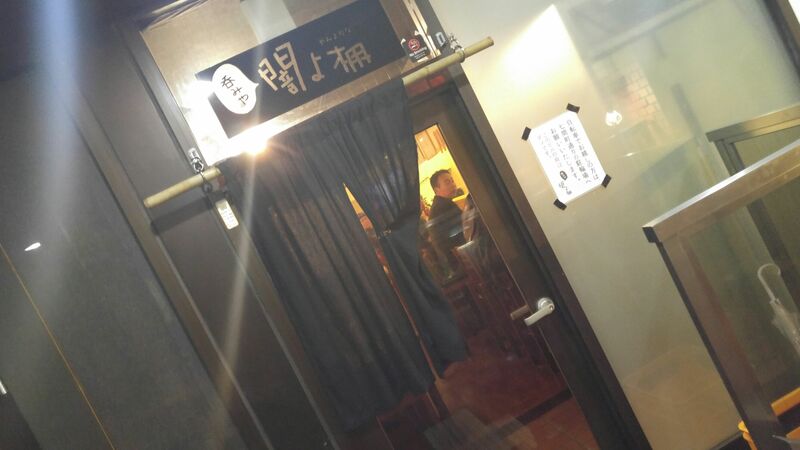 New Beer Pub in Shizuoka City: Yami Yo Dana! Strong points: Baird Beer, including limited local brand. Home-made izakaya food. The other day was my first visit to one of the newest Beer Pubs in Shizuoka City, a very thirsty town where such news fly or flow very quickly! 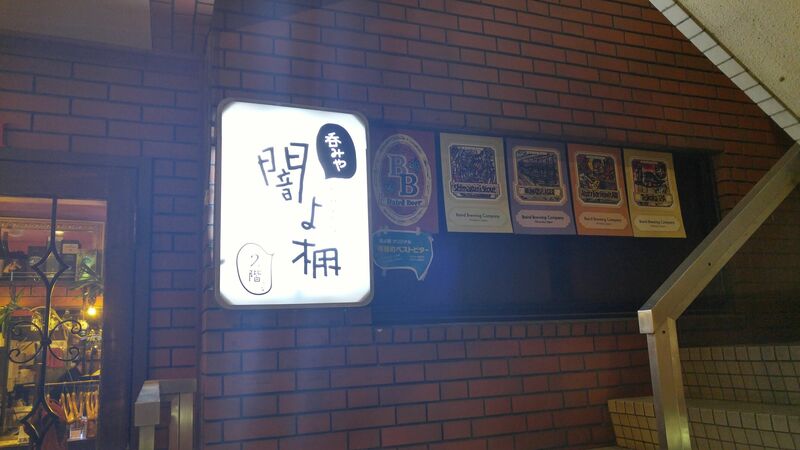 Although located in the “drinking district” you will some guidance from a local to find it! First of all let me say it entirely non smoking, a rare feat for such an establishment! Great news for the ladies (and their companions)! Actually the whole is really clean but very very easy-going, all of simple wood, whether at the counter or at tables. The owner, Hiroaki Kojima/小島大明さん　worked for Bryan Baird at Baird Beer Brewery for 8 years, the reason why all the craft beer served inside comes from Baird Beer Brewery! 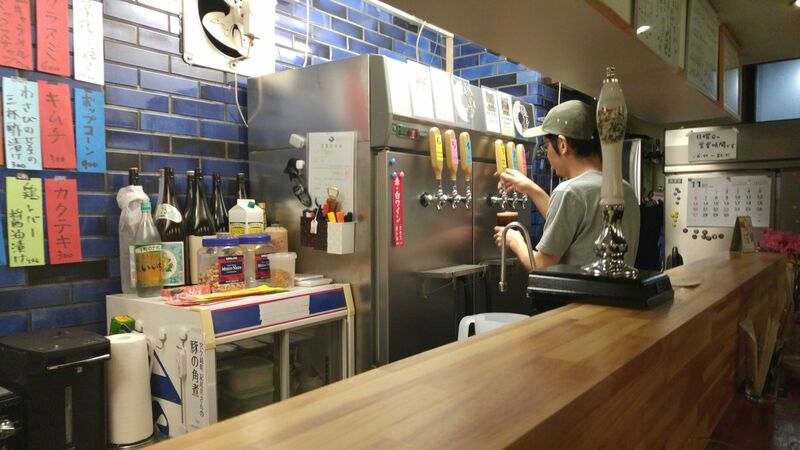 There is another normal draught beer tap, too, and plenty of other drinks are available! 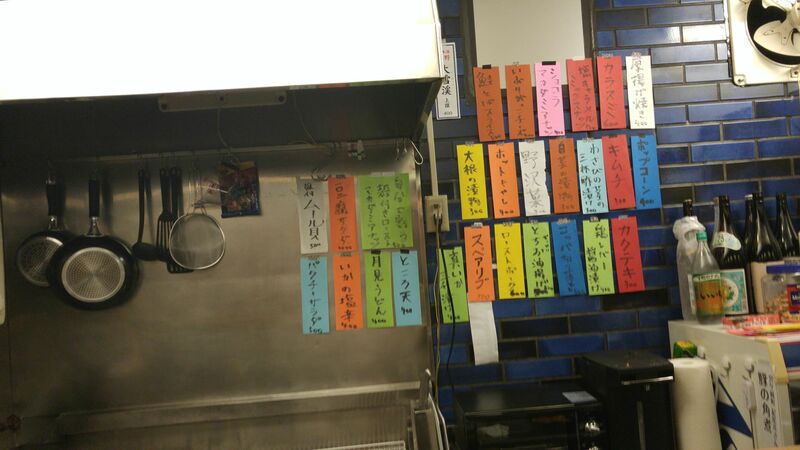 The food, including many non-meat dishes are all either made on site or at home (very probably with Hirokai’s wife, namely Masawako/妙和子さん!）! All authentic Japanese izakaya fare! 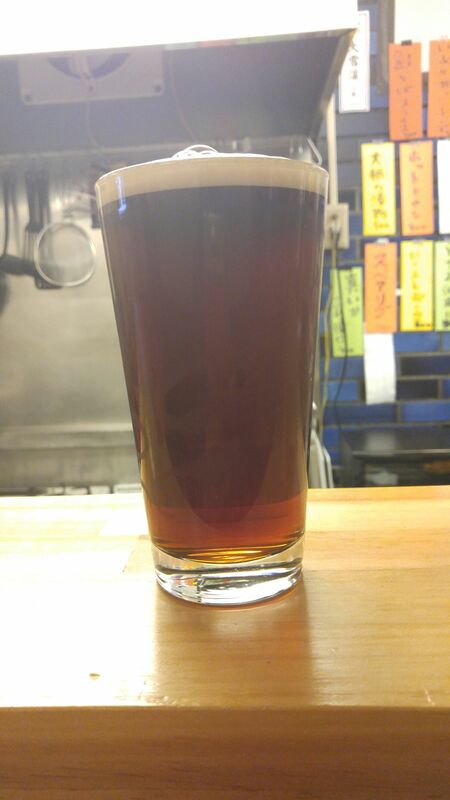 As for Baird Beer products, they feature 6 different brands changing with the seasons at alcohol from 4.7 to 8%, prices ranging from 600 yen to 800 yen per glass, or 900 yen to 1,000 yen per pint. 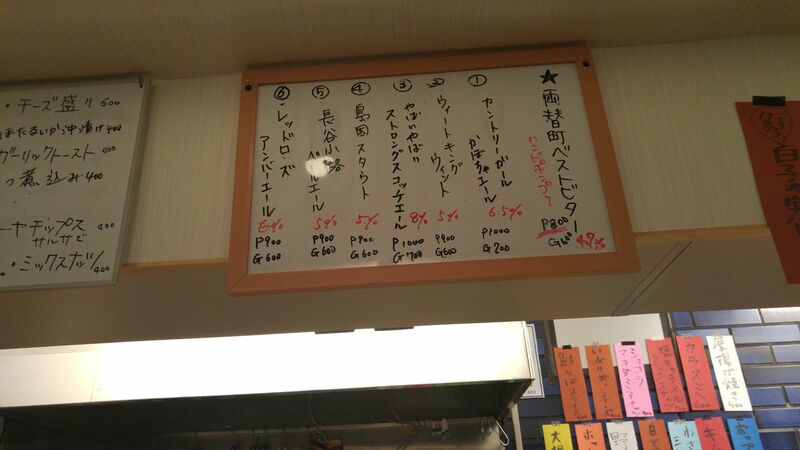 Don’t forget to sample the “Ryogae Cho Best Bitter” especially brewed for Yami No Tana! As it is very limited you can order it only by the glass! As I intend to conduct my Baird Beer craft beers tastings there in the future expect more reports!